Capcom's announcement of Ducktales Remastered during PAX East has had the internet ablaze this weekend, but the other game they announced was more exciting from a co-op perspective. 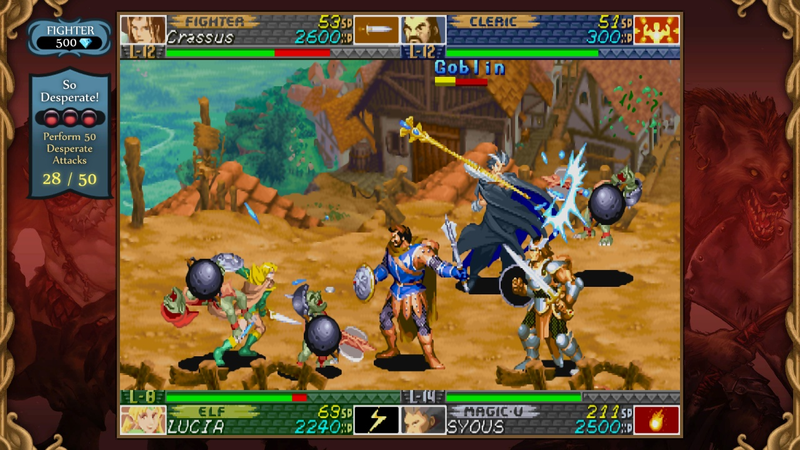 We already reported that Dungeons & Dragons: Chronicles of Mystara would be coming to XBLA and PSN last week, and now it's official. Plus it will arrive on the Wii U and PC, making it easy for everybody who's anybody to experience Capcom's finest beat-em-ups. 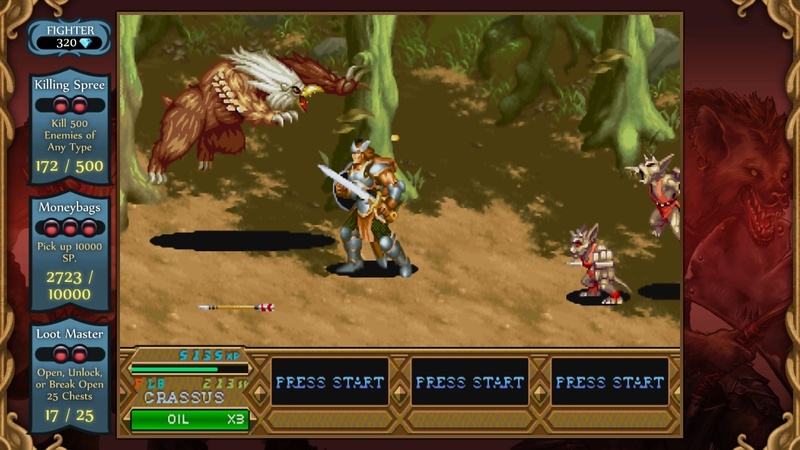 Dungeons and Dragons: Chronicles of Mystara collects two classic Capcom arcade games: Dungeons & Dragons: Tower of Doom and its sequel Dungeons & Dragons: Shadow over Mystara, dating back to 1994 and 1996. This deluxe collection comes from Iron Galaxy, the studio who handled the XBLA and PSN ports of Street Fighter III, Marvel vs. Capcom Origins, and Darkstalkers Resurrection for Capcom. 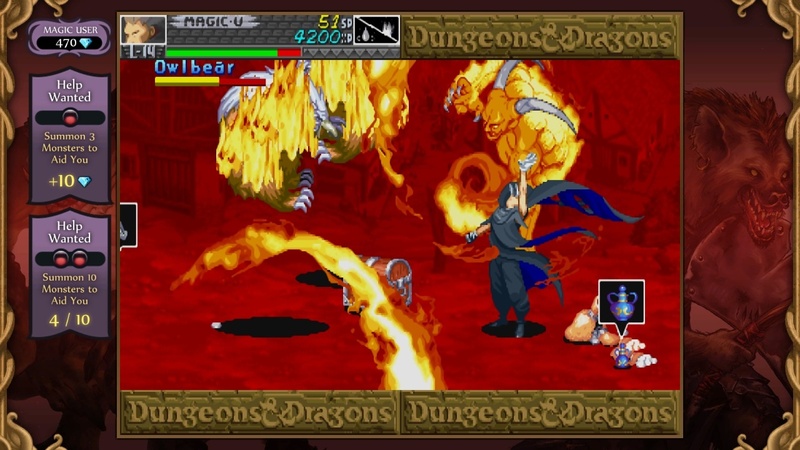 Tower of Doom is a 4-player fantasy-themed beat-em-up which can be viewed as the precursor to Castle Crashers, Dungeon Fighter Live, and many other similar games. 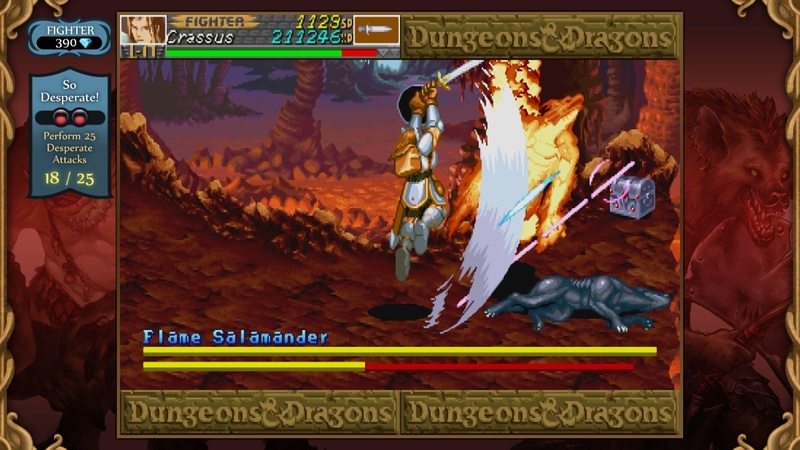 It offers played four authentic D & D characters to choose from: Fighter, Dwarf, Cleric, and Elf. 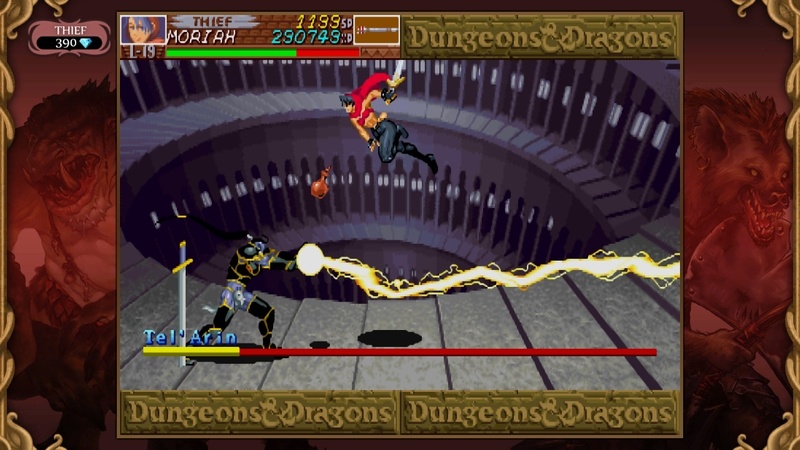 The second game adds a Thief and Mage to the mix. All level up from gaining XP, have special moves suited to their classes, and can carry and use items in their inventory – fairly advanced stuff for arcade brawlers. These two games remain sought-after classics for several reasons. The smattering of actual D & D rules and equipment created an unexpectedly authentic atmosphere. Lending to that atmosphere is some of Capcom’s best pixel art, with highly animated characters and gigantic boss monsters. Both games also capture a sense of exploration thanks to their numerous branching paths. These paths, combined with the different character classes, instil replay value far beyond other beat-em-ups of the nineties. 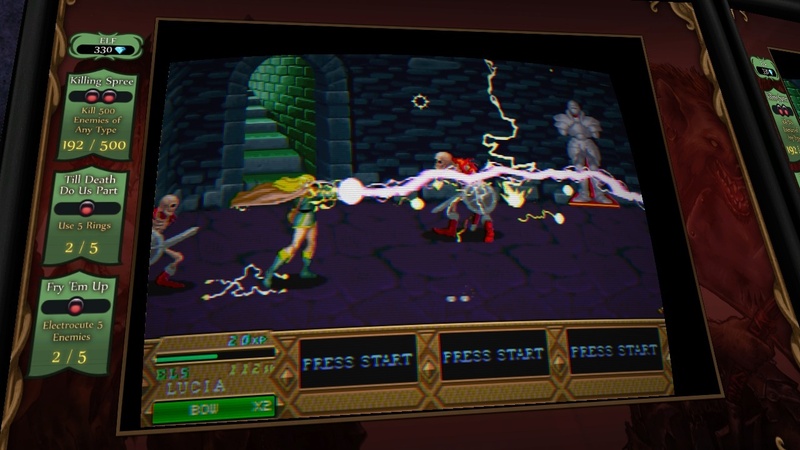 While Iron Galaxy hasn’t fully remade the Dungeons & Dragons arcade games in the same way as Ducktales Remastered, this new collection still boasts an impressive array of features. Most important is the cooperative multiplayer. 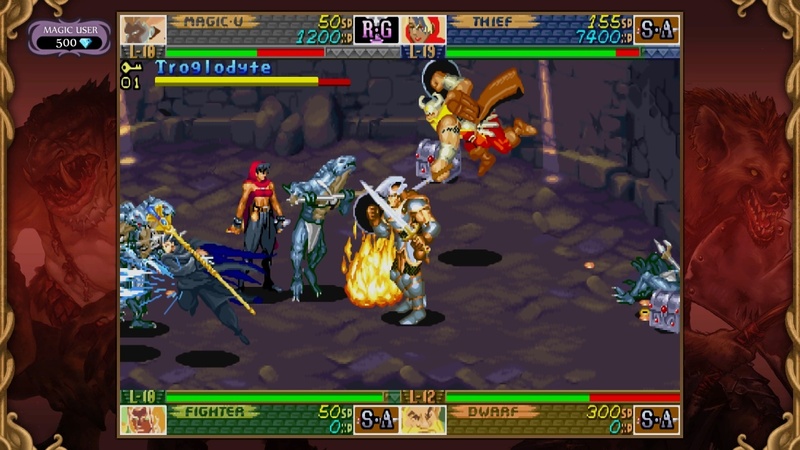 The collection supports drop-in, drop-out co-op for up to four players (the previous Saturn collection was only 2-player) both locally and online. The online multiplayer makes use of GGPO netcode, widely regarded as the most lag-free way of networking fighting games. The new house rules options will allow for an especially customizable multiplayer experience. 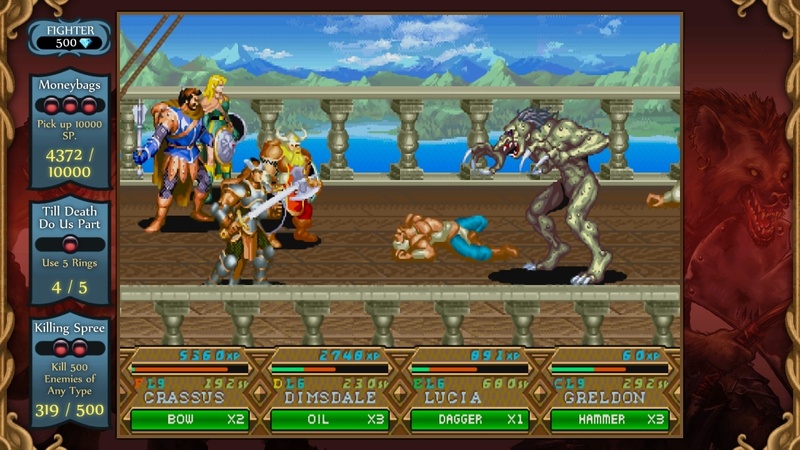 Like Street Fighter III and Iron Galaxy’s subsequent Capcom ports, Chronicles of Mystara adds a Challenge system on top of the existing arcade games. These provide optional goals such as killing X number of enemies or collecting Y amount of gold – think of them as mini Achievements. Completing them rewards you with coins that can be spent on various unlockables, including some lovely concept art. The new Character Visualizer feature promises to track of how often players pick each character, encouraging replay with seldom-used heroes. And naturally, the game will have several advanced viewing options to make the games look better on HD displays. 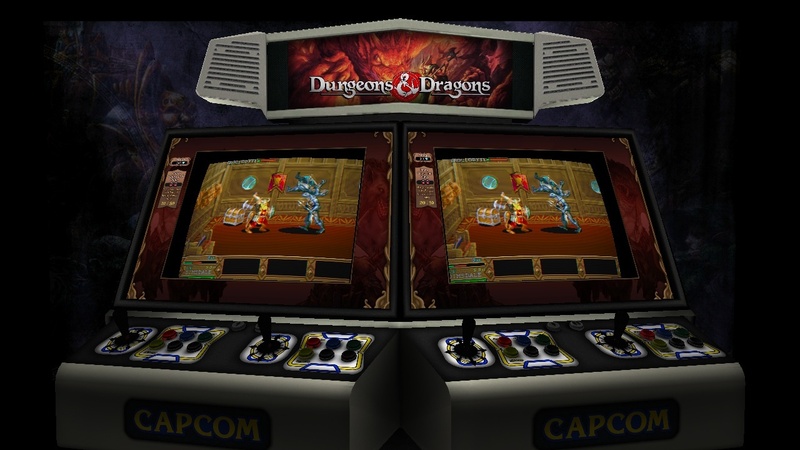 One image even shows the game running on a simulated dual monitor setup, just like the actual arcade game. 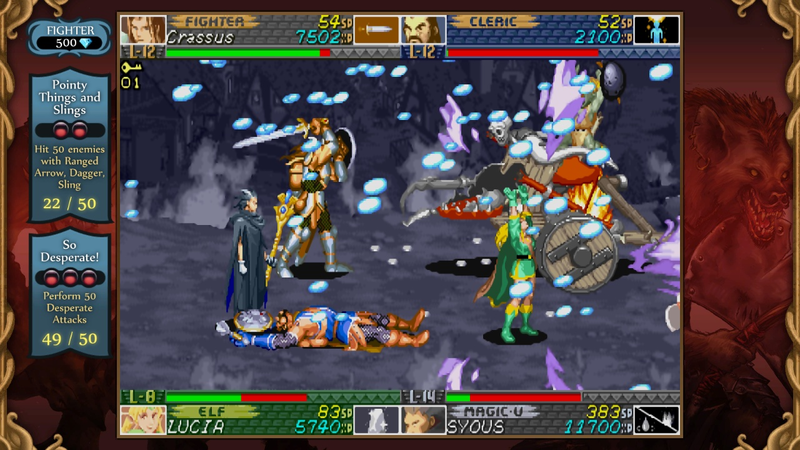 Dungeons & Dragons: Chronicles of Mystara has a loose release date of June. It will cost $15/1200 MS Points – far less than the rare Saturn game goes for on eBay. Fans of fantasy and beat-em-ups won’t want to miss it!